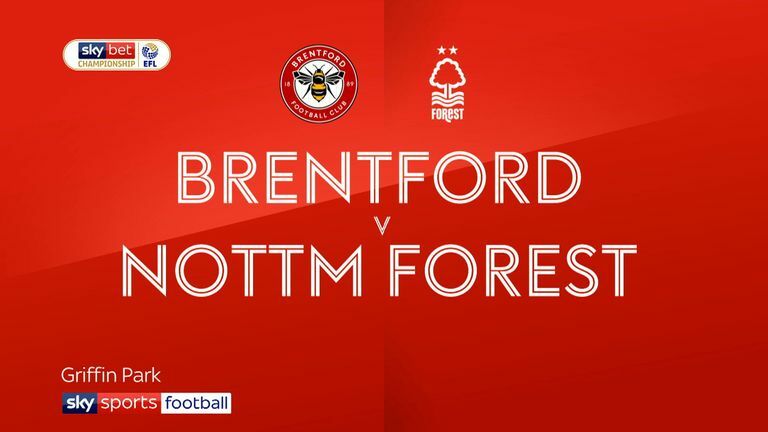 Brentford ended Nottingham Forest's unbeaten start to the Sky Bet Championship season with a 2-1 win in an ill-tempered battle at Griffin Park. Lewis Macleod broke the deadlock for the hosts in first-half injury-time before Matty Cash levelled for the visitors just after the hour. However, Bees striker Ollie Watkins had the last word, volleying home an 84th-minute winner from Said Benrahma's cross from close range. It was no more than the Londoners deserved against an uncompromising Forest side who collected seven yellow cards to Brentford's five for a string of cynical fouls that broke any rhythm. The hosts took the lead just before half-time when Benrahma's whipped right-wing cross found Macleod, whose clever glancing header crept inside the far post. But a howler on the hour from Bees goalkeeper Daniel Bentley let Forest back into it, Daryl Murphy's driven cross slipping through his fingers for substitute Cash to tuck home on the line. 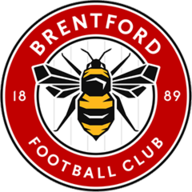 Early on Brentford looked the brighter and Benrahma should have broken the deadlock against a stubborn Forest rearguard, but his side-footed effort lacked the power to test goalkeeper Costel Pantilimon. Forest's only worthwhile effort in a half dominated by Dean Smith's side came when Gil Dias stung Daniel Bentley's palms with a snapshot. Brentford thought they had a chance to end the stalemate just after the half-hour when Macleod burst onto a through-ball and was sent sprawling in the box. His reward from referee Peter Bankes was a yellow card for simulation. Sergi Canos came closest for the Bees, but his sizzling low drive after good work on the flank by Benrahma forced a great stop low by the foot of his post from Pantilimon. Canos might have gone one better on 42 minutes when he latched onto Romaine Sawyers' floated cross but failed to get the right power or angle on his header to find the target. Brentford started quickly after the break and Chris Mepham almost celebrated his Wales call-up when he touched Benrahma's cross against the upright from close range. Ben Osborn went close at the other end as Forest pushed forward without ever really testing the Bees goal - but Brentford always posed the greater threat and Pantilimon had to get down smartly to deny Canos and Sawyers in close succession. 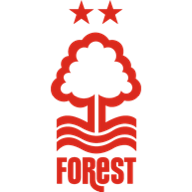 Forest's equaliser lit the touchpaper in an already niggly game and tackles flew in from all angles, Jack Robinson's flying heel catching Watkins in the face forcing the striker off for treatment to his bleeding nose. But his first touch after returning won it for the hosts, Benrahma's cross taking a slight deflection into the path of Watkins - who hammered home through Pantilimon to spare Bentley's blushes. There was still time for an injury-time 15-man melee sparked by a clash between Sawyers and Robinson, with the referee dishing out another three yellows. Dean Smith: "It was a tough game to play in because Forest posed some very different questions, but we have problem-solvers all over the pitch now. "That side of their game shows they have moved up to the next level, and I was delighted with that because they had to show a lot of character today." Aitor Karanka: "The best way to defend against a side like Brentford is to keep the ball, and we didn't do that. In the first half, they were the better side and when you're defending for 45 minutes there are going to be chances against teams like Brentford. The second half was much better and we played in the way I like to play. "When we equalised, we didn't score a second and then the game opened up again and they looked stronger than us. I have had these players for two months and eight games, and today was the first defeat."